Thank you for your interest in contacting the Music Teachers’ Association of California®. Ory Shihor is an award-winning pianist, renowned pedagogue, educator, and entrepreneur. 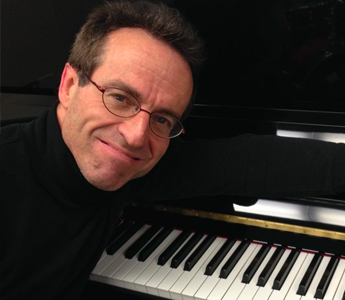 He is the founding dean at the Colburn Music Academy, and teaches piano at the Colburn Conservatory. Ory also founded the Piano Talent Performance Academy, which provides in-person and conservatory-level online college audition and competition preparation training. Gloria Mendieta Gazave is a classically trained soprano from San Francisco with a background in Musical Theater. Her repertoire spans Opera, Oratorio, Art Songs, Broadway, and Popular Ballads. Experienced in singing Sacred Music, including Latin Chant, she was a cantor for the San Francisco Archdiocese, and selected to perform for Pope John-Paul II. An alum of the San Francisco Conservatory of Music, Ms. Gazave performs as a soloist with orchestras and ensembles, enjoys singing for special events, and was recently chosen to be the featured Opera singer to promote a new product for the Kettle Chips Company. 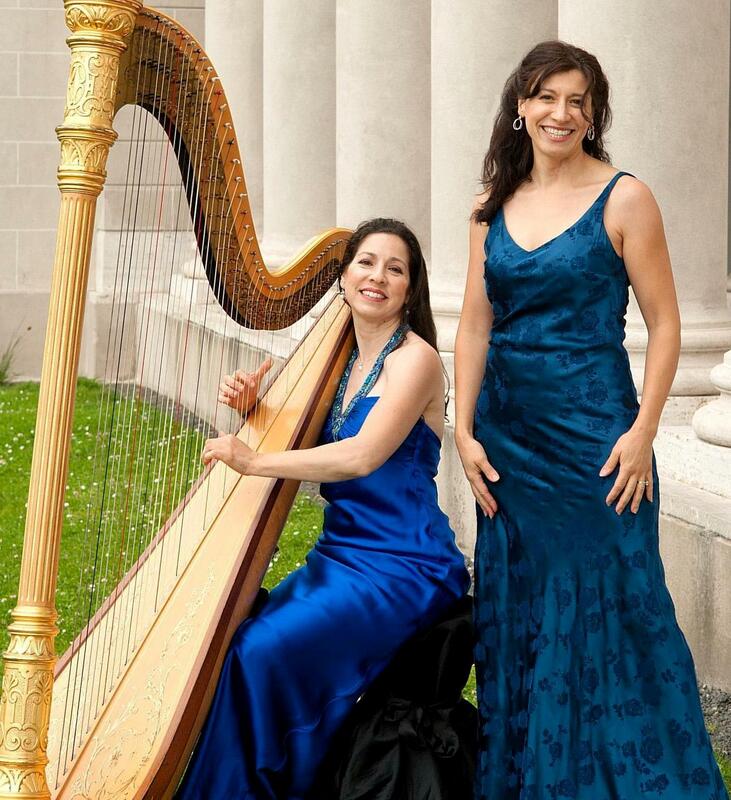 Anna Maria Mendieta is the principle harpist with the Sacramento Philharmonic and Opera. She has performed with orchestras and chamber music groups internationally including the San Francisco Symphony, San Francisco Opera and Ballet, Russian National Orchestra, Russian State Ballet; and was recently hired by the Los Angeles Philharmonic for a music video. Ms. Mendieta has performed for Pope Benedict XVI, President Clinton, President Gorbachev, the King and Queen of Spain; for National Hispanic Week in Washington D.C., and the World Youth Day events in Madrid. With many albums to her credit, Ms. Mendieta has appeared for movies, television, radio, and Emmy Awards. She has performed with Frederica von Stade, Josh Groban, Frank Sinatra Jr, Olivia Newton John, and Barry Manilow, who calls her his “favorite harpist”. Justin Levitt began his musical journey at the age of 15. Since then, he has written hundreds of pieces, won seven MTAC state competition awards, performed at Carnegie Hall in New York, written symphonies performed by professional orchestras, composed music for the Diablo Ballet, won a gold Telly Award for music, won his first award for best music at a film festival, released eight volumes of piano solos, had a composition published internationally in the AMEB (Australian Music Examination Board) syllabus. During “Life Music,” Justin will present and describe pieces that put feelings and real-life experiences to music, and share why “Life Music” should become a known genre. Coined a “Musical Tour de Force” by the Mountaineer Progress Newspaper, ACE Trio is a Los Angeles-based classical modern ensemble rapidly distinguishing itself as one of the newest leading groups of its generation. Originally formed at Cal State Northridge, the members come from various educational backgrounds, holding degrees from California State University, Northridge, the Juilliard School, the Glenn Gould School of the Royal Conservatory of Music in Toronto, Cal Arts, and University of Redlands. 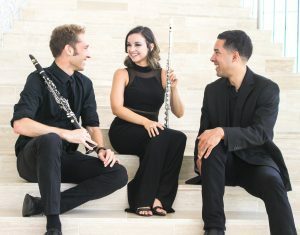 With a unique instrumentation of flute, clarinet, and piano, the trio performs their own innovative arrangements and contemporary music by living composers from around the world. ACE Trio has participated in many recital series in Southern California including St. Matthew’s United Methodist Concert Series, Pasadena City College Guest Artist Series, Wrightwood Classical Concert Series, Music by the Sea Concert Series and The Interludes Concert Series in Torrance. Andrew Cooperstock is Professor of Piano at the University of Colorado and artistic director of the University’s “Bernstein at 100” celebration. William Terwilliger is Professor of Violin at the University of South Carolina. Both serve on the faculty of the Saarburg International Festival of Music in Germany. 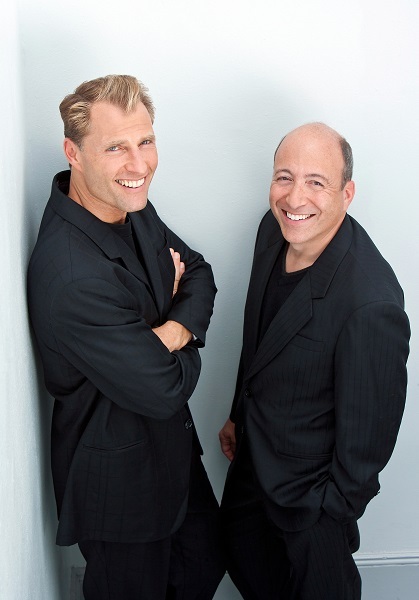 In their multimedia performance, “Celebrating the American Stage: Violin/Piano Works by Gershwin, Copland, Bernstein,” Opus Two explores popular stage works by these famous composers. Works to be performed include selections from Girl Crazy, An American in Paris, Billy the Kid, Rodeo, Candide, and A Little Night Music, many in specially commissioned arrangements for Opus Two. The lively performance will be accompanied by narration, slides, and videos. Yuko Maruyama is a pianist, composer and arranger with a Master of Music degree in Jazz Studies from USC. 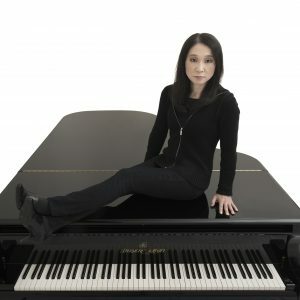 She is a Kawai Pianos recording artist, and has toured the U.S. for the Kawai Piano Company with her 2002 album, “In Tone Nation.” Since then, Yuko has completed her second album, “Piano Bento.” At her San Diego studio, she teaches improvisation, classical and jazz piano, and directs jazz ensembles. Originally from northern California, Doug Walker’s interest in jazz and the upright bass flourished while studying with Dr. Joe Gilman at American River College. He later transferred to San Diego State University on a full scholarship, where he performed in orchestra, jazz big band and small combos while studying privately with celebrated bassist Bob Magnusson, ultimately earning a Master of Music degree in Jazz Studies. Doug continues to teach, compose and perform throughout Southern California, where he is often recognized as one of the few left-handed upright bassists on the planet. Matthew Taylor is a drummer and percussionist who is very active in the San Diego area, both as a performer and as an educator. Originally from Boston, Massachusetts, Matthew graduated with a B.M. in Professional Music from Berklee College of Music and an M.M. in Modern American Music Performance from Longy School of Music. 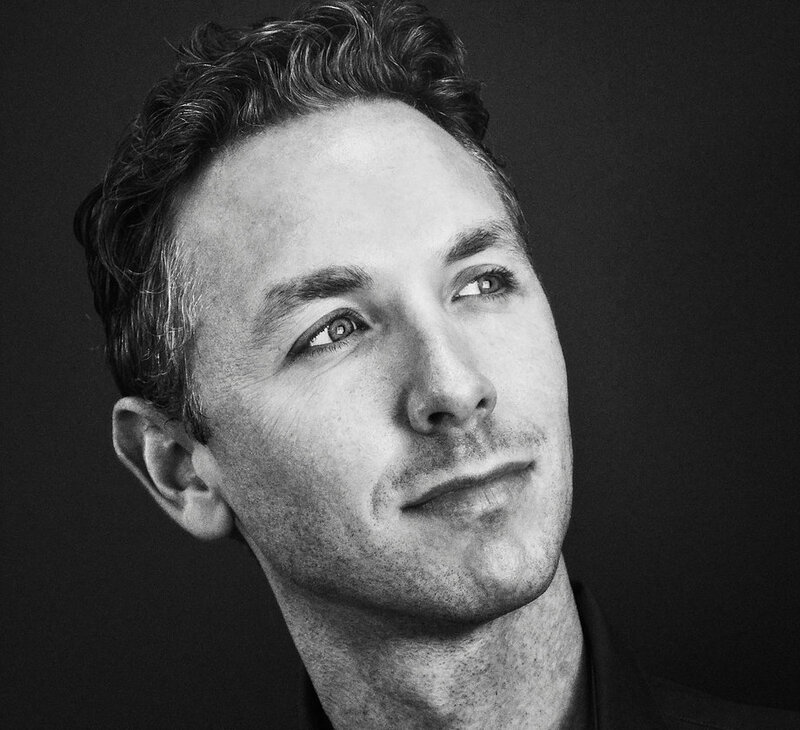 Matthew maintains a vibrant private teaching studio, teaches classes and ensembles, and has coached ensembles at local San Diego schools. The performance will feature original compositions in the contemporary jazz styles, as well as arrangements of standard jazz repertoire from the past century. Dr. John Roscigno is Professor of Music and Director of Orchestral Studies at California State University, Northridge and Music Director of the Thousand Oaks Philharmonic. Dr. Roscigno holds the additional position of Music Director of the CSUN Youth Orchestra program, an organization comprised of three ensembles and 200 students from San Fernando Valley and surrounding areas. His versatility as a conductor, pianist, percussionist and composer has led to many unique and varied performing opportunities in his music career in the United States and abroad. Dr. Roscigno has worked extensively with professional orchestras, college orchestras and younger musicians throughout his career. 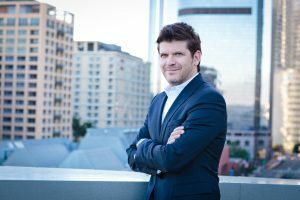 He has conducted Opera Constanta of Romania, the Conway Symphony, Tucson Symphony, Plainview Symphony and Santa Barbara Ballet Theater, and has been a high school all-state clinician in Arizona and California. He is a frequent guest conductor at the Cazadero and Gold Coast Summer Music Festivals and has held music faculty positions at University of Arizona, Auburn University and University of Central Arkansas. Highlights of his collaborative career include serving as pianist for world-renowned percussionist Evelyn Glennie, hosting George Crumb in a residency featuring collaborative performances with the composer, and conducting the west coast premiere of Philip Glass’s Second and Seventh Symphonies. As a strong advocate of new music, Dr. Roscigno has conducted of number of premieres by the nation’s leading young composers. In addition to his work as a conductor, he continues to teach private lessons to young people. A few of Dr. Roscigno’s most cherished accomplishments include performing in Carnegie Hall, Yankee Stadium, Olympic Stadium in Montreal and conducting in Disney Hall in Los Angeles. 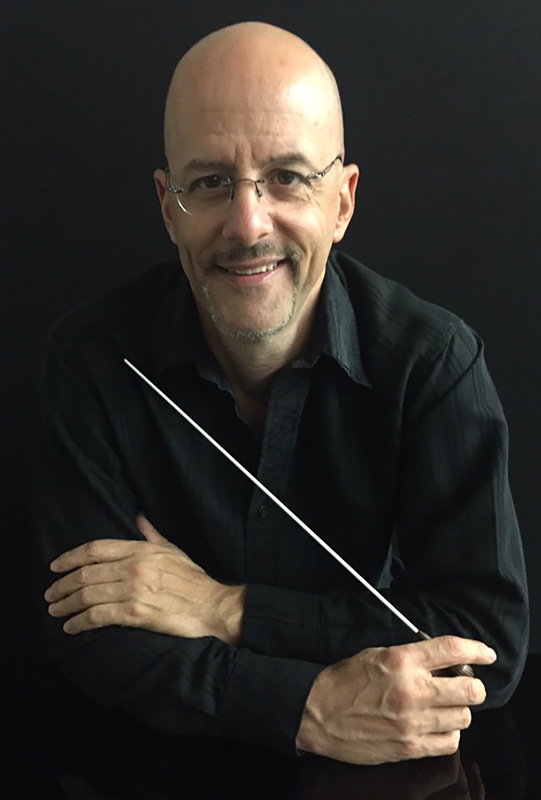 Dr. Roscigno holds a degree of Doctor of Musical Arts in Conducting from the University of Arizona, a Master’s Degree in percussion performance from the University of Illinois under Tom Siwe, and a Bachelor’s Degree as a double major in piano and percussion performance from the University of Arizona under Gary Cook and Nicholas Zumbro. Additionally, he studied piano with Ozan Marsh and William Landolfi. Dr. Roscigno is a native of New York City and is also a self-taught abstract painter, cyclist, and avid sports fan. Goodsearch is a simple way to make a difference. Each time you search the web (though Yahoo!-powered Goodsearch) they will make a donation to the MTAC Foundation. Goodshop is an online shopping mall that donates a percent of your purchase price to the MTAC Foundation when you shop at one of 3,000+ partner stores. eScrip.com allows you to shop online, buy groceries, or dine out to make a difference for the organizations you choose. Visit our family of merchants for a complete list of participants in the program. Shop online with over 700 merchant partners at eScrip Online Mall. Participating merchants make contributions based on your purchases. Check your purchases online, to see how much you are earning for the MTAC Foundation! Register MTAC and up to two additional organizations! July 2, 2018 at 8:30 p.m. 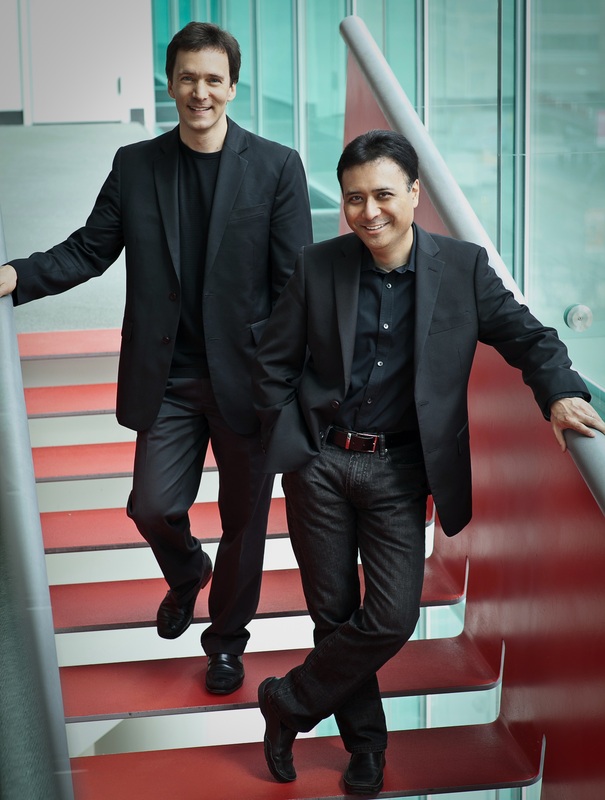 Following its highly acclaimed 2004 debut in Boston, the Manasse/Nakamatsu Duo began extensive tours featuring appearances on chamber music’s most prestigious stages, including the Lincoln Center Mostly Mozart Festival and Washington DC’s National Gallery of Art. The Duo’s first harmonia mundi recording of Brahms’ Clarinet Sonatas was selected by the New York Times as among its top classical releases for 2008. Subsequent recordings include premières of John Novacek’s Four Rags for Two Jons, Paquito D’Rivera’s The Cape Cod Files, and chamber music of Weber, Beethoven and Brahms. In 2011, the Duo recorded both Brahms’ Clarinet and Piano Quintets, issued in 2012 as the Tokyo Quartet’s final CD. Individually, both Jons have developed vast repertoires and lengthy discographies. Their hundreds of performances include concerto engagements, recitals and chamber music collaborations worldwide. July 1, 2018 at 7:45 p.m.
VOCE is a prestigious competition for vocalists, strings, winds/brass, and chamber music. The program is named for Vocalists, Orchestral instrumentalists, and Chamber Ensembles. This recital is a collection of performances from first place winners of the State Finals competition. July 1, 2018 at 1:00 p.m. The music of American composer Bruce Stark reflects the varied elements of his musical upbringing: early studies in percussion, jazz piano, and classical composition. He completed a masters degree in composition at the Juilliard School in 1984 as a student of Roger Sessions and Vincent Persichetti. Thereafter for more than twenty years he resided in Tokyo, producing a collection of works that reveal a compelling musical voice, drawing from a multiplicity of disciplines and sensibilities. In 2013 he returned to the U.S. and joined the music faculty of DigiPen Institute of Technology (Seattle area) as professor of composition and theory. 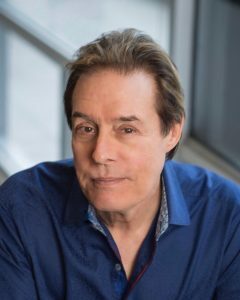 Stark’s performances as pianist/arranger can be heard on many recordings (Victor Entertainment, Meister Music, ALM Records, Nami Records, MA Recordings and various independent labels). While living in Tokyo he appeared as soloist, group leader and ensemble player in major concert halls throughout Japan as well as Shanghai’s Grande Theatre, Kennedy Center, and a six-country tour of South America sponsored by the Japan Foundation for Cultural Exchange. In 2013 he won First Prize in the solo jazz piano division of the Wild Flower Music International Recording Competition for his performance of Body and Soul. June 30, 2018 at 7:45 p.m. 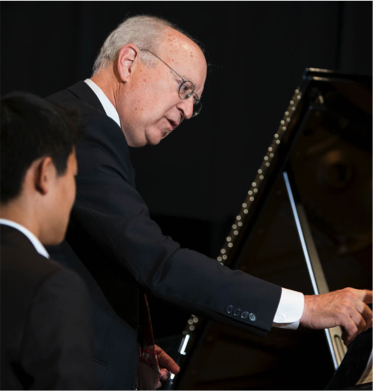 The MTAC Piano Concerto Competition gives students a chance to thrive at what they do best. The students competing in this event are the first place winners from the Regional Competition held this past spring in both Northern and Southern California. The finalists perform a concerto movement before a panel of judges in a highly competitive setting. 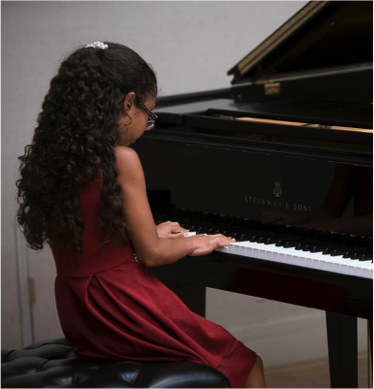 Winners are selected in each age category, and all finalists receive prize monies underwritten in part by Steinway and Sons. June 29, 2018 at 8:30 p.m. 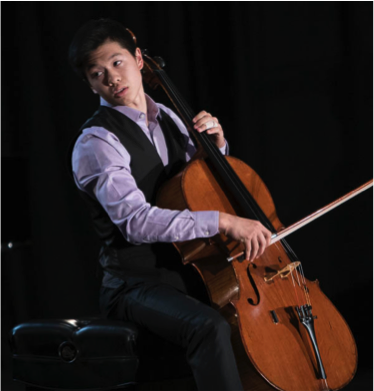 The Young Artist Guild (YAG) represents the most gifted musicians in the Certificate of Merit® program. Acceptance to YAG is one of the highest honors for Certificate of Merit® students. Students are granted membership in the Guild for five years upon recommendation by a panel of adjudicators. This concert serves as a debut for newly selected members. Alan Chapman is an educator, radio host (Classical KUSC, Los Angeles), composer/lyricist and pianist. After receiving his undergraduate degree from the Massachusetts Institute of Technology, he earned a Ph.D. in music theory from Yale University. He was a longtime faculty member at Occidental College and is currently a member of the music theory faculty of the Colburn Conservatory. Well known as a pre-concert lecturer, Dr. Chapman has been a regular speaker on the L.A. Philharmonic’s “Upbeat Live” series since its inception in 1984 and developed the popular series of “Music 101” multimedia evenings at Walt Disney Concert Hall. He has been heard globally as programmer and host of the inflight classical channels on United and Delta Airlines. Dr. Chapman’s songs have been performed and recorded by many artists around the world and have been honored by ASCAP and the Johnny Mercer Foundation. He frequently performs with his wife, soprano Karen Benjamin. They made their Carnegie Hall debut in 2000 and performed at Lincoln Center in 2006. 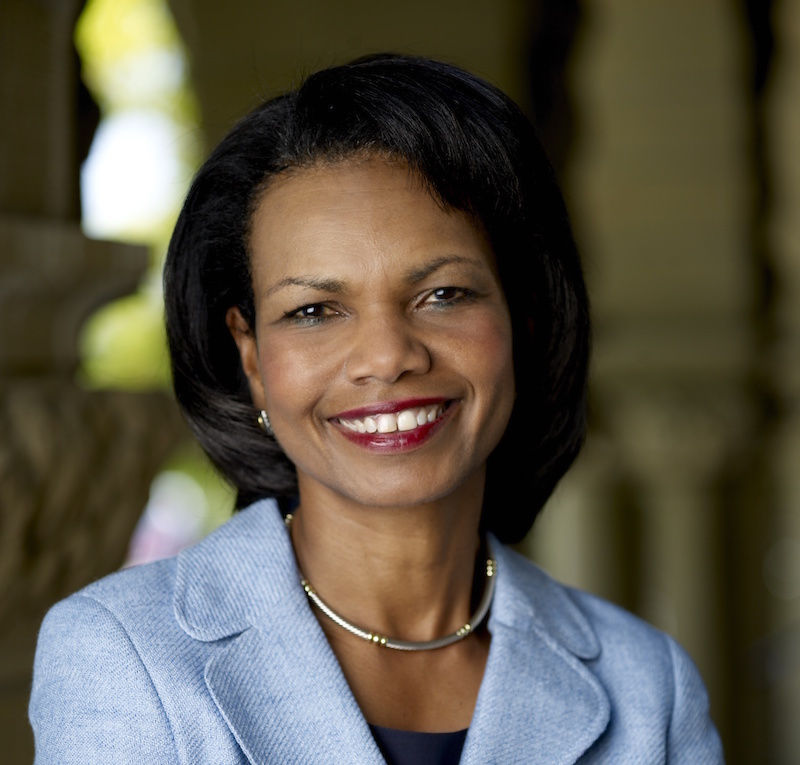 Dr. Condoleezza Rice is a professor of Political Economy in the Graduate School of Business, the Thomas and Barbara Stephenson Senior Fellow on Public Policy at the Hoover Institution, and a professor of Political Science at Stanford University. From January 2005-2009, Dr. Rice served as the 66th Secretary of State of the United States. Prior to serving as America’s chief diplomat, she also served as President George W. Bush’s Assistant to the President for National Security Affairs (National Security Advisor) from January 2001-2005. Dr. Rice began formal music lessons at three when her Grandmother Ray noticed her granddaughter’s keen interest in music. In Dr. Rice’s book, Extraordinary, Ordinary People, she recounts: “I don’t remember learning to read music, so today it is like a native language for me. This made it much easier to master sight-reading, something that I do well to this day.” Dr. Rice continued to take piano lessons through childhood and perform at various school, church, and community events. At age fifteen, she performed Mozart’s Piano Concerto in D minor with the Denver Symphony Orchestra, her prize for winning a student competition. The same year, Rice entered the University of Denver as a music major though she soon switched to political science, a move that drastically changed the course of Rice’s life. In 1993, while provost at Stanford University, she turned her attention again to the piano and started lessons with faculty member, George Barth. Musical highlights include a 2002 performance with Yo-Yo Ma at Constitution Hall, a 2008 recital for the Queen of England at Buckingham Palace, and a 2010 fundraiser with Aretha Franklin in Philadelphia’s Mann Music Centre.